The former Wertheim Piano Factory was constructed in 1909 for the German-born manufacturer Hugo Wertheim. Wertheim came to Melbourne in 1875 as an agent for his family's sewing machine business, which he rapidly expanded, establishing agencies throughout Victoria, Queensland and South Australia, selling sewing machines, bicycles, pianos and other machines, mostly imported. Having identified the strong demand for pianos, then a symbol of middle class values and of a working family's success, he sent his son Herbert to America and Europe to study piano manufacturing, and commissioned the Melbourne architect Nahum Barnet to design a factory in Richmond that compared with the best in the world. It had manufacturing facilities on the ground floor and offices on the first floor and was built at a cost of ₤25,000 by R McDonald. This first piano factory in Victoria was considered to be an important demonstration of the importance of the Commonwealth Government's 'New Protection' policies designed to encourage local manufacturing, and the foundation stone was laid by the Prime Minister Alfred Deakin, with the ceremony attended by the most prominent of Victoria's politicians and business people. The factory employed three hundred workers, and could produce up to two thousand pianos annually, using predominantly Australian materials. Nellie Melba is said to have refused to play on any piano other than a Wertheim. Herbert took over the business following his father's death in 1919, but the business failed with the 1930s depression together with the increasing popularity of the wireless for family entertainment, and the factory closed in 1935. The Australian branch of the American H J Heinz Company was established in 1935, producing beverages, canned foods, cereals, mayonnaise, pasta and other foods in the leased former piano factory, which the company purchased in 1938. Heinz sold most of its war-time production to the Commonwealth Government for distribution to the services. Post-war growth resulted in a doubling of the factory's output, and in 1953-5 Heinz constructed a large factory at Dandenong, selling the Richmond site in 1955 to television station GTV9 for use as studios and offices. The Melbourne Olympic Games were broadcast from there in 1956. 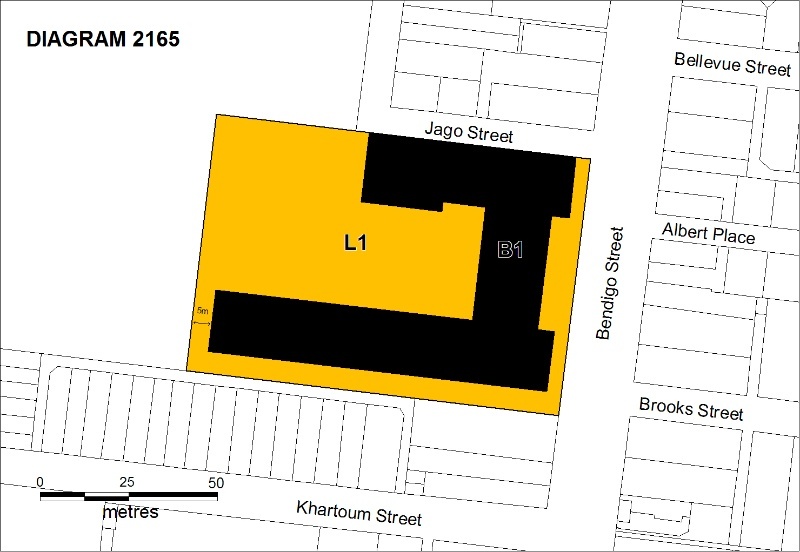 Between 1956 and 2001 GTV9 expanded the site by purchasing adjoining properties along Khartoum Street. Iconic Australian television shows such as 'In Melbourne Tonight', 'The Graham Kennedy Show', 'The Ernie Sigley Show', 'The Don Lane Show', 'The Bert Newton Show', 'New Faces', 'Hey Hey It's Saturday', 'The Footy Show', 'Sale of the Century', 'Family Feud', 'Temptation' and 'Rove' were produced in the Richmond studios, which was known as Television City. The former Wertheim Piano Factory is a Federation Free Style red brick building with rendered detailing and with a terracotta tiled roof. The main Bendigo Street elevation consists of two identical two-storey pyramid-roofed pavilions linked by a single-storey section surmounted by a curved rendered parapet which once contained the Wertheim, then the Heinz, names but is now blank. The facade is divided by brick piers rising up through the parapet and finished with moulded rendered cappings. Moulded rendered string courses run across the elevations between the brick piers, and the brick spandrel panels above the windows are decorated with diamond patterns in black brick. The ground floor windows have segmental arched heads with moulded brick voussoirs, and those on the first floor have moulded rendered lintels and sills. The metal-framed windows are not original, and probably date to the Heinz ownership. There are two brick wings at the rear in a simpler style, both originally of one storey. The southern wing now has a new roof, and two extra storeys were added to the northern wing by Heinz. The interior has been used by GTV as offices, and few original features remain. The south wing houses Studios 1 and 2. The former Wertheim Piano Factory is of architectural and historical significance to the state of Victoria. The former Wertheim Piano Factory is historically significant as one of Victoria's most important early twentieth century industrial buildings, reflecting the move from importing to local manufacture of goods at that time, encouraged by the Commonwealth Government's New Protection laws of 1907. This was the first piano factory in Victoria and when constructed was the largest in Australia. Hugo Wertheim's pianos were among the best known and most widely advertised products of Australian manufacturing industry in the first decades of the twentieth century, and the factory was one of Australia's largest and most innovative manufacturing concerns. The building is an expression of the importance of pianos in early twentieth century society. The use of the building by the Heinz Company is important as a demonstration of overseas investment in local manufacturing. The building is also important in the history of television in Victoria. It has been used as the studios and offices of GTV9 for over fifty years, and many of Australia's favourite television programmes were produced here. 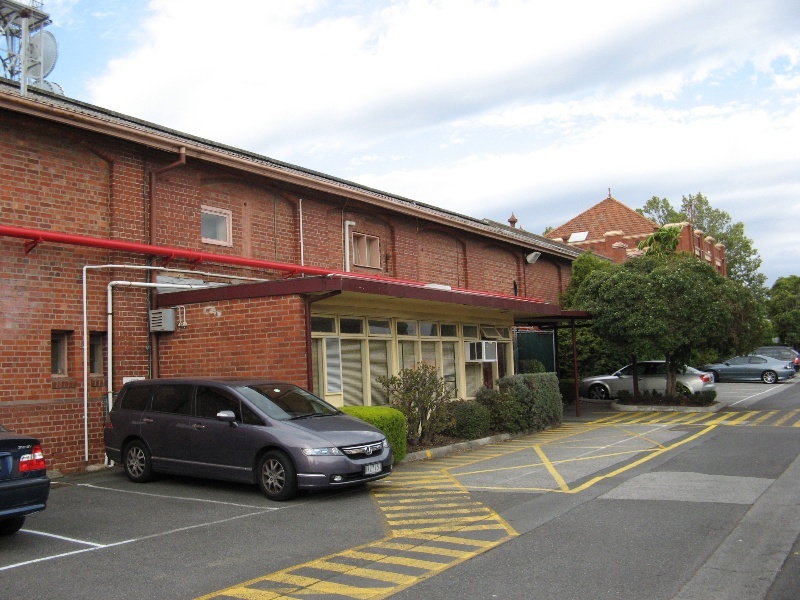 The former Wertheim Factory is architecturally significant as a fine and intact early twentieth century factory building in a Federation Free style, and as an example of an industrial building designed by the important Melbourne architect Nahum Barnet. 1. All of the land marked L1 on Diagram 2165 held by the Executive Director, being all of the land described in Certificate of Title Volume 9224 Folio 933. 2. All of the building marked B1 on Diagram 2165 held by the Executive Director. During the first decade of the twentieth century prosperity returned to Victoria after the 1890s depression and drought. Rural output and exports expanded rapidly and factory employment nearly doubled between 1901 and 1914. Tariff protection had first been introduced in Victoria in the 1860s to protect local industries from competitors from lower cost producers and to raise revenue. From 1901 the Commonwealth Government played a greater role in Victoria's economy, and in 1907 introduced the 'New Protection', in which manufacturers were to be protected by a Tariff Wall, and the workers by Industrial Arbitration Acts (McQueen, A New Britannia, p 219). A piano represented middle class values, however it was not the sole preserve of the middle classes and was the 'pinnacle of working-class aspirations' and a demonstration of a family's success. In 1892 it was observed that the urban tradesman generally owned a small, iron-framed, time-payment piano, 'on which his daughters, returning well shod and too well clothed, from the local "public school" . discoursed popular airs with a powerful manual execution'. (McQueen, A New Britannia, pp 117-9) It was a mark of the prosperity of the new world that a working man in Australia could afford such a luxury. Pianos remained popular until they began to be replaced by the radio and the radiogram from the 1920s. The world's first television broadcast was made in April 1927, between Washington DC and New York, and the first television licence was granted in the United States in 1928 and in the UK in the late 1930s. It was not until 1953 that a Royal Commission in Australia was established to investigate the issuing of licences in Australia. The Commission considered that television should aim to 'provide programmes that will raise the standard of public taste'. The first television sets in Australia cost three times the average monthly wage, and by the time of the first broadcast in September 1956 there were an estimated five thousand sets in the country. Many people stood on footpaths and watched the shows on sets displayed in shop windows. Nahum Barnet was born in Melbourne, attended Scotch College, and is said to have begun his career as an insurance clerk. He matriculated at the University of Melbourne, wrote on architectural subjects in the press and in 1876-9 was articled at a relatively advanced age to (Leonard) Terry & (Percy) Oakden. By 1879 Barnet was calling tenders in his own right, and from 1884 was a member of the Victorian Institute of Architects and had some success in competitions, including that for the Working Men's College with Terry & Oakden. He also designed the Alexandra Theatre (remodelled in 1903 to become Her Majesty's). In 1880 he became secretary of the Anglo-Jewish association, and by 1882 was honorary architect to the Jewish Philanthropic Society and doing work at the Jewish almshouses. He was to develop an extensive Jewish clientele, designing many houses and a number of tobacco warehouses and factories. In the 1890s he designed the Robur Building in South Melbourne, the Austral building in Collins Street, Northcote Fire Station and the London Tavern. Some of his buildings, such as Rosaville (next to Medley Hall), had an explicitly Eastern character. In commercial work he often used a version of the American Romanesque, with Art Nouveau overtones, as in the Paton Building in Elizabeth Street (1905). His warehouse, now Legacy House in Swanston Street, was in a more austere form of red-brick Romanesque. Otherwise he favoured a 'glorious fluorescent Italian style'. He designed a number of theatres, the London Hotel in Elizabeth Street (1911), YWCA clubrooms in Russell Street (1913), and an early motor garage in Franklin Street. His last major work was the Synagogue in Toorak Road (1928-30) in a Corinthian Baroque style. Barnet was a friend of the sculptor Sir Bertram Mackennal and the writer Isaac Selby, who claimed that Barnet had designed a building in every street in Melbourne proper. He died in September 1931 at his home in St Kilda. Barnet's first and only overseas trip was principally a trip to England in the 1920s. Hugo was ahead of his time in implementing aggressive market strategies and also in identifying market trends, and he soon discovered that the real demand was not for sewing machines but for pianos. As he had no experience in manufacturing pianos he sent his oldest son, Herbert, to learn the trade in America and tour the continent before returning to run the new Melbourne factory planned by his father. After a study of European and American factories Wertheim decided to have the factory area on the ground floor with offices on the first floor, a somewhat new concept for large factories in Australia. In 1908 he purchased four lots in Richmond, behind John Wren's trotting track on Bridge Road, extending from Bendigo to Stawell Streets. Between 1909 and 1914 he purchased several more lots and extended the site to the north to the Jago and Wertheim Street boundaries. Wertheim commissioned the prominent Melbourne architect Nahum Barnet to design a prestigious factory that compared with the best in the world. The large innovative red brick factory of 50,000 squares in Richmond was built at a cost of ₤75,000 by R McDonald. The site covered four acres and had a tramway system laid through the building and to the timber stores at the rear. Hugo's investment was of such significance that the Prime Minister Alfred Deakin laid the factory's foundation stone at a ceremony on 21 October 1908. Other guests included the future Prime Minister Andrew Fisher, the Premier, Sir Thomas Bent (who claimed in his speech to have helped Wertheim secure the land for the factory), Melbourne Lord Mayor Sir Henry Weedon, several senators, the musicians Percy Grainger and Professor George Marshall-Hall, Archdeacon William Hindley, the Minister for Education Mr Sachse, the Director of Education, Frank Tate, newspaper proprietor Theodore Fink, the President of the Chamber of Manufactures and other prominent citizens. The occasion and the speeches given were reported in The Argus, with Wertheim given great credit for his patriotic initiative in moving from an importer to a manufacturer. This was interpreted by the speakers as a great triumph for the Commonwealth's 'New Protection' policies. The factory's three hundred employees produced up to two thousand pianos and piano players annually, including twelve grand pianos, predominantly using Australian materials. Almost all parts of a piano were made in the factory, which had iron and brass foundries, timber seasoning racks, wood working equipment, cabinet making, French polishing and sounding board facilities. The factory generated its own power and was heated by hot air pipes. Lavatories, luncheon rooms and smokers' pavilions were built for employees. Fire-proof divisions and steel doors were provided for fire isolation and a new type of damp course was laid in the walls. Some of the staff had been trained in the leading European piano factories, and the pianos were said to compare favourably with any in the world. In 1926 Australians bought more than 24,000 pianos, and Wertheim pianos were so well-regarded that Dame Nellie Melba is said to have refused to perform with anything else. WWI caused difficulties for Wertheim. There were strong anti-German sentiments at all levels of society, some patriots even smashing their German pianos (McQueen, p 39). Australian military intelligence files showed that Wertheim and his family were reported numerous times as spies or 'pro-German', though various wild assertions were investigated and found to be groundless. Wertheim's second son Rupert served in France with the Australian Imperial Forces and was thrice mentioned in dispatches. The family were well-accepted by the Victorian establishment, and a generation of Wertheims, who were non-practising Jews, were members of the Melbourne Club at a time of anti-Semitism. Hugo died of hepatitis in July 1919 at his home in South Yarra and left an estate in Victoria valued at ₤51,539. His great-grandson Jeff Kennett was a Premier of Victoria. Following Hugo's death his eldest son, Herbert, continued the business, but none of the next generation had an interest in it, and it fell victim to the 1929 depression. In 1931 Wertheim's commissioned the architects A & K Henderson to design Lyric House in Collins Street, which won the 1931 RVIA Street Architecture Medal and was designed to be 'an architectural representation of the Spirit of Music'. Wertheim's struggled on by joining forces with three competitors, Allan's, Paling's and Sutton's, at the Richmond site. But Melbourne's love of the Wertheim piano and pianola ended with the coming of the wireless as entertainment, and the factory closed in 1935 after producing 18,000 pianos. Herbert wanted to continue manufacturing pianos but the company Board did not, and his mother had the casting vote and ordered the property sold (to Heinz) and the business wound up. Herbert, it is understood, never spoke to his mother again. Wertheim pianos are still produced, but in China. The site was purchased by H J Heinz Company Pty Ltd in 1942. The parent company was based in America, and began importing their products to Australia in the 1880s. H J Heinz Company Australia was established in 1935, producing beverages, canned foods, cereals, mayonnaise, pasta and other foods at the then leased ex-piano factory in Bendigo Street. Heinz London paid for improvements to the site and production started in August 1935, the first product being horseradish. While the thirty-one men and twenty-nine women employed in the factory worked on bottling this product, Heinz installed canning equipment, the first canned goods, baked beans in tomato sauce, being produced in October 1935. This was quickly followed by canned spaghetti and a range of soups. The ground floor of the main brick building was used for washing and processing vegetables, and for labelling, packing and storage. Other buildings on the site were used as stores, a drawing office, a mechanics' and carpenters' shop, engineers' offices, a tomato pulp factory and a large staff canteen and dining room (on the corner of Wertheim and Jago Streets). Post-war growth resulted in the factory output being doubled, to two million dozen cans annually. By 1951 it produced 57 VARIETIES branded products, including baby food, which was previously imported from the UK. In 1951 Heinz bought a seventy acre property at Dandenong for a new factory (since altered for reuse by Toll Holdings). The Victorian Government agreed to lift agricultural production to support the new plant's capacity. In 1956 Heinz sold the site in Bendigo Street to GTV9, the first television station on air in Australia, for use as studios and offices. In 1953 a Government Commission had recommended that one national and two commercial television licences be issued in both Melbourne and Sydney, with the other capital cities and regional areas to be dealt with over time. The Australian Broadcasting Control Board (ABCB) granted licences, and held public hearings in 1955. There were four applicants for the two Melbourne licences, one of them being General Television Corporation Ltd, which won the licence for channel 9. General Television was a consortium between the two major newspapers, The Argus and David Syme's Age. Other shareholders included Hoyts, Greater Union, Electronic Industries, JC William's Theatres, 3XY, 3UZ, 3KZ and Cinesound Productions. The channel was named GTV (GT for General Television and V was standard for Victoria). (Channel 9 website) GTV9 aimed to be in air in time for the 1956 Melbourne Olympics, then only eighteen months away. Television proved immediately popular, and between 1961 and 2001 GTV9 expanded the site by purchasing adjacent properties to the south, along Khartoum Street and the west along Stawell Street. On this site GTV9 produced iconic television programs such as 'In Melbourne Tonight', 'The Graham Kennedy Show', 'The Ernie Sigley Show', 'The Don Lane Show', 'The Bert Newton Show', 'New Faces', 'Hey Hey it's Saturday', The Footy Show', 'Sale of the Century', 'Family Feud', and 'Temptation'. 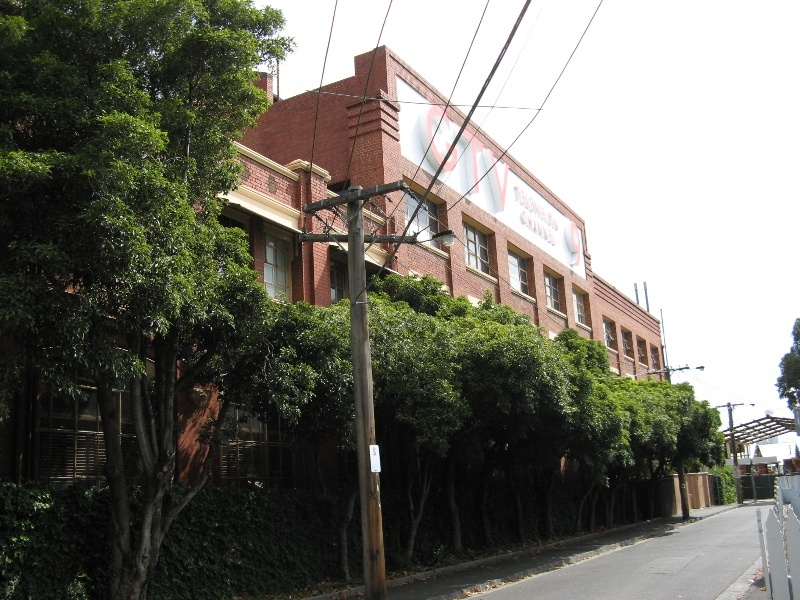 Graeme Butler & Associates, 'Brief Heritage review of the Former Wertheim Piano factory (now GTV9 Studios), 26 Bendigo Street, Richmond', 1999. Allom Lovell & Associates, 'City of Yarra Heritage Review', 2007. Humphrey McQueen, A New Britannia, Blackburn [Victoria] 1970. Australian Dictionary of Biography, on-line edition, entries for Nahum Barnet and Hugo Wertheim. Peter Beilby ed), Australian TV: the first 25 years, Melbourne 1991. Nick Place & Michael Roberts, 50 Year of Television in Australia, Prahran [Vic] 2006. Bernadette Casey, Television studies. The Key Concepts, London 2002. The former Wertheim Piano Factory is one of Victoria's most important early twentieth century industrial buildings. It reflects the change from the importation of goods to local manufacture at that time, encouraged by the Commonwealth Government's New Protection laws of 1907. This was the first piano factory in Victoria and when constructed was the largest in Australia. Hugo Wertheim's pianos were among the best known and most widely advertised products of Australian manufacturing industry in the first decades of the twentieth century, and the factory was one of Australia's largest and most innovative manufacturing concerns. The building is an expression of the importance of pianos in early twentieth century society. The use of the building by the Heinz Company is important as a demonstration of overseas investment in local manufacturing in the inter-war period. The building is also important in the history of television in Australia. The first television broadcasts in Australia took place in 1956 from Studio 1 in this building, and it has been used as the studios and offices of GTV9 for over fifty years, with many of Australia's iconic television programmes produced here. The former Wertheim Factory is a fine and intact example of an early twentieth century factory building in a Federation Free style and of an industrial building designed by the important Melbourne architect Nahum Barnet. 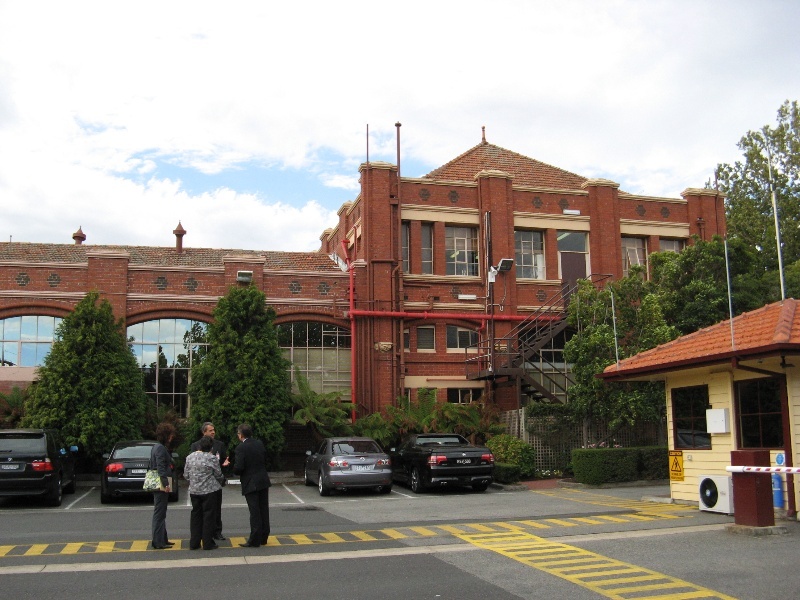 The former Wertheim Factory is associated with the first television broadcasts in Australia. The Wertheim Piano Factory operated from this building from 1909 to 1935, giving way to the Heinz Factory (1935 to 1955) and GTV9 in 1956. Australia's first television broadcast was made from Studio 1 in 1956. General Conditions: 1. All exempted alterations are to be planned and carried out in a manner which prevents damage to the fabric of the registered place or object. General Conditions: 2. Should it become apparent during further inspection or the carrying out of works that original or previously hidden or inaccessible details of the place or object are revealed which relate to the significance of the place or object, then the exemption covering such works shall cease and Heritage Victoria shall be notified as soon as possible. General Conditions: 3. If there is a conservation policy and plan endorsed by the Executive Director, all works shall be in accordance with it. Note: The existence of a Conservation Management Plan or a Heritage Action Plan endorsed by the Executive Director, Heritage Victoria provides guidance for the management of the heritage values associated with the site. It may not be necessary to obtain a heritage permit for certain works specified in the management plan. General Conditions: 4. Nothing in this determination prevents the Executive Director from amending or rescinding all or any of the permit exemptions. General Conditions: 5. Nothing in this determination exempts owners or their agents from the responsibility to seek relevant planning or building permits from the responsible authorities where applicable. Minor Works : Note: Any Minor Works that in the opinion of the Executive Director will not adversely affect the heritage significance of the place may be exempt from the permit requirements of the Heritage Act. A person proposing to undertake minor works may submit a proposal to the Executive Director. If the Executive Director is satisfied that the proposed works will not adversely affect the heritage values of the site, the applicant may be exempted from the requirement to obtain a heritage permit. If an applicant is uncertain whether a heritage permit is required, it is recommended that the permits co-ordinator be contacted. Interiors: As there are no internal features of significance, adaptive reuse of the interiors is appropriate. The addition of new buildings to the site may impact upon the cultural heritage significance of the place and will require a permit. The purpose of this requirement is not to prevent any further development on this site, but to enable control of possible adverse impacts on heritage significance during that process. The only building on the site included in the Registration is the brick factory building, which was used successively by Wertheim, Heinz and GTV9 over a hundred year period and so demonstrates the history of the site. 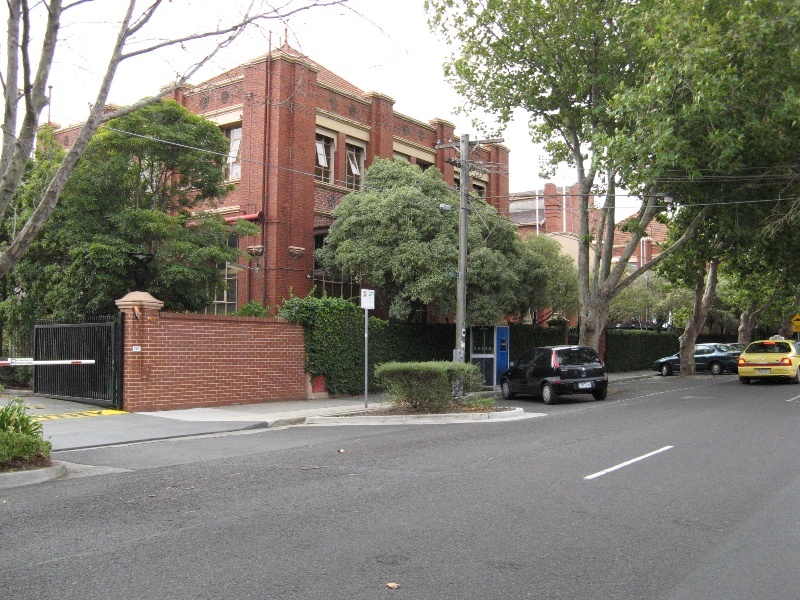 All of the 1908 building, including the single and double storey wing along Bendigo Street, the single storey southern wing and the northern wing, including the two storeys added to the 1908 wing by Heinz, is included in the Registration. No features of significance remain in the interior, and adaptive reuse of the interior is appropriate.